The Wine & Spirit Education Trust (WSET) has announced the nominees for two of its most esteemed awards: WSET Educator of the Year Award and WSET Outstanding Alumni Award. The winners will be presented at the Awards and Graduation ceremony at the Guildhall, City of London, UK on 22 January 2018. Hosted for the first time by new WSET Honorary President, Steven Spurrier alongside WSET Chief Executive, Ian Harris, the occasion is set to attract over 500 guests including industry leaders and influencers. 441 WSET Diploma graduates from around the world will be honoured, marking their success as one of just over 9,000 people in the world to have ever held the accolade, and outstanding candidates for the 2016/17 academic year will be presented with awards in recognition of their achievements. An elite selection of Approved Programme Providers (APPs) and individual WSET Certified Educators across the world has been hand-picked by WSET to be shortlisted for the Educator of the Year Award, sponsored by Riedel. The winner will be decided by a panel of judges led by Ian Harris including Richard Bampfield MW, Laura Jewell MW of Wine Australia and Matt Knight of Riedel UK. The judges will be looking for the educator that has demonstrated clear dedication and growth in delivering WSET’s courses as well as innovation in wine and spirits education. The dedication and passion of our APPs and educators has led WSET to see phenomenal growth of over the past year, with +19% more candidates expanding their wine and spirits knowledge through one of our qualifications. The nominees for this award have been identified as exemplary in our growing pool of Certified Educators and we look forward to celebrating the winner. Berry Bros. & Rudd (UK): A dynamic APP, run by Rebecca Lamont in the UK, Berry Bros. & Rudd has seen strong growth in student numbers for WSET wine qualifications for a number of years, as well as the newly introduced Levels 1 and 2 Awards in Spirits. Its extensive fine wine portfolio and increasing spirits range offers WSET students the chance to taste some incredible product. Bordeaux Wine Campus (France): To create a thriving business running WSET courses in a market that is one of the cradles of world wine culture, with a multitude of education options, is testament to the work that Bordeaux Wine Campus has achieved. Since Owner Fanny Darrieussecq started offering WSET courses in 2009 student numbers have grown progressively, more than doubling over the last two years. Adam Chase DipWSET, Director of Grape Experience (USA): Previous winner of WSET Educator of the Year 2012, this year Adam is nominated as an individual to highlight the work he has done to ensure that the APP offers consistently high standards of WSET education on both coasts of the USA (in Boston and San Francisco). Conviviality (UK): With the addition of Bibendum-PLB in 2016, Conviviality created a significant national on-trade supply capability while bringing together two of WSET’s key route-to-market APPs, Matthew Clark and Bibendum. Training almost 1,000 candidates from a diverse range of hospitality businesses with WSET wine qualifications, and now spirits qualifications at Matthew Clark, their focus on fomenting engaged relationships with key customers includes an integrated approach to training with WSET. Erica Dent DipWSET, Owner of Enjoy Discovering Wine (UK): Previous Educator of the Year 2013 winner, Erica has had another amazing year delivering wine qualifications, and newly introduced spirits qualifications, to both consumers and trade across southern England whilst travelling Europe to help other providers improve their teaching. She has seen great success hosting students from catering faculties at southern colleges through WSET qualifications to help them gain their first job in the hospitality industry. Enocultura (Brazil): Thiago Mendes and Paulo Brammer set up Enocultura in Säo Paulo in 2013 and now run courses across the country. Impressive growth has been matched with excellent exam results and their introduction of scholarships has enabled more members of the trade to access WSET courses. Laura Kent DipWSET, Owner of Yorkshire Wine School (UK): With a new venue in north Leeds and having recently added Level 2 Award in Spirits to her offering, Laura is building on her success to widen the reach of her courses. She runs consumer courses and trains local trade businesses won through her ever-growing network, and even finds time to run Level 3 Award in Wines courses in Spain for a local APP. TS Wine Academy (China): TS Wine Academy, part of the wine media and education platform TasteSpirit, started offering WSET courses in 2013. Driven by Co-Founder and Director Young Shi, student numbers more than doubled last year and results have been excellent. Young Shi has pioneered WSET sake qualifications in China and was the first Mainland China-based Level 3 sake educator. The WSET Outstanding Alumni Award, sponsored by JancisRobinson.com, was introduced last year to celebrate and nurture a WSET Diploma graduate who is notably contributing to the industry. The nominees have been chosen by the WSET International Alumni Advisory Board and Jancis Robinson MW herself. WSET Diploma graduates from across the world are invited to vote for who they think should win this industry honour. WSET alumni have received an email explaining how they can cast their vote. WSET Diploma graduates are achieving amazing things across all areas of the industry in all corners of the world. We’re proud to have nurtured so many successful individuals, and this award is a dedicated celebration of one graduate who is making outstanding contributions to the industry, chosen by our global alumni network including Jancis Robinson. Sarah Jane Evans DipWSET, MW (UK): Evans is an award-winning writer and Co-Chair of the Decanter World Wine Awards who achieved her WSET Diploma in 1998. Beginning her career in book publishing, she spent a decade as Associate Editor of BBC Good Food magazine. During that time she was President of the Guild of Food Writers and completed the WSET Diploma, winning the Freixenet Scholarship. She became an MW in 2006 and won the Robert Mondavi Winery Award for the best results in the theory papers. She was Chairman of the IMW (2014-16). Spain and Sherry remain special interests; she’s a member of the Gran Orden de Caballeros del Vino, has received a number of awards in Spain, and is finishing a book on the Wines of Rioja and Northern Spain. Michael Hill Smith DipWSET, MW (Australia): Hill Smith is an international wine judge, producer, consultant and writer who completed the WSET Diploma in 1985. In 1988, he became the first Australian MW and won the Madame Bollinger Tasting Medal. In 2008, he was awarded an Order of Australia for his contribution to the Australian Wine Industry. He is Co-Managing Director of Adelaide Hills pioneers Shaw + Smith and Tolpuddle Vineyard in Tasmania and is a wine consultant for Singapore Airlines, alongside Oz Clark and Jeannie Cho Lee. He has featured in Decanter’s International Power List three times, is Vice Chair of Decanter Asia Wine Awards and Co-Chair of Decanter World Wine Awards. Jeannie Cho Lee DipWSET, MW (Hong Kong): Lee is an award-winning author, TV host, wine judge and educator who achieved her WSET Diploma in 1999. She is a professor at Hong Kong PolyU where she helped launch the MSc International Wine Management program and is a Visiting Professor at the Chinese and International Culinary Institutes. Lee co-hosts a weekly wine program ‘In Vino Veritas’ on Hong Kong’s leading English-language TV broadcaster and is the former CEO of lifestyle publication, ‘Le Pan’. She is wine columnist for Robb Report China, Forbes and Kris Flyer and also consults for Singapore Airlines. Lee also authored two pioneering books exploring Asian wine descriptors and food pairings. Achieving her MW in 2008, she holds a Cordon Bleu Certificat de Cuisine, is a trained Sake Sommelier and both a WSET and SWE Certified Educator. James Tidwell DipWSET, MS (USA): Tidwell is Co-Founder of TEXSOM, North America’s premiere professional beverage education event and Co-Owner and Producer of TEXSOM International Wine Awards, one of the USA’s most recognised wine competitions. In addition to his WSET Diploma, which he achieved in 2003, Tidwell also passed the Certified Wine Educator exam on first attempt, earning the highest score out of hundreds of candidates, and was later elected to the Society of Wine Educators Board of Directors. In 2009, he also passed the Master Sommelier examination. Alongside his work with TEXSOM, Tidwell is Master Sommelier at Four Seasons Hotels and Resorts. The full list of graduates and award winners will be released following the ceremony on 22 January 2018. 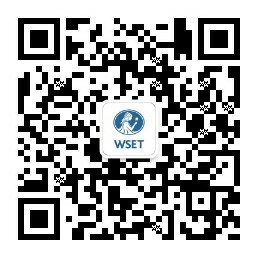 Visit here to learn more about WSET courses or here to find an Approved Programme Provider.